We look forward to learning more about your needs. Please contact us or visit our San Francisco locations . Screening for lung cancer using CT technology has been found to be more effective than chest X-ray for certain populations. The National Lung Screening Trial (NLST) conducted in 2010 indicated that 20 percent fewer people died of lung cancer in a group screened with CT compared to those screened with X-ray. Why is that? Some of the cancers found using lung CT are small and have not yet spread. That means treatment is generally more effective. Patients who are part of the UCSF Lung Screening Program are treated by a collaborative team of experts from across several specialities. CT lung cancer screening is most effective for people who are current or prior cigarette smokers. 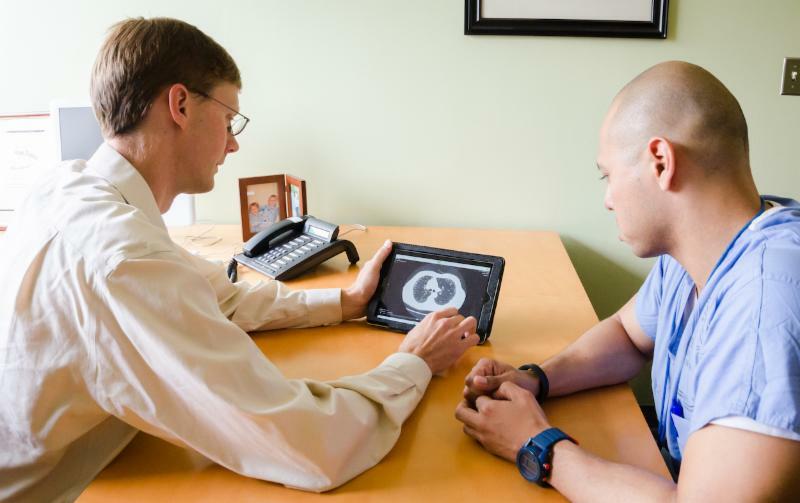 Learn more about the UCSF Lung Cancer Screening Program on our blog . 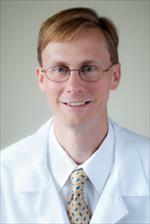 Dr. Elicker is a professor of Clinical Radiology and chief of the Cardiac and Pulmonary Imaging Section at UCSF Radiology. His research interests are high-resolution CT (HRCT) in the evaluation of diffuse lung disease, imaging in patients with lung transplants, and thoracic vascular imaging. His research is primarily clinical, a reflection of the strong clinical training during his residency at Yale University and thoracic fellowship at UCSF. The Department of Radiology and Biomedical Imaging at the University of California, San Francisco, is a leading health sciences center focused on serving patients, conducting research, and training the next generation of radiologists. We are proud to have some of the foremost names in diagnostic, therapeutic, and interventional radiology developing promising new approaches to identify and treat disease. We are a patient-centered team, and are honored that the community recognizes us for our compassion and care. For non-UCSF physicians, the process begins with faxing a referral to Radiology Central Scheduling at 415-353-7299. For additional questions, please contact Specialty Programs Coordinator, Karen Brandon at Karen.Brandon@ucsf.edu or call her at 415-502-3066. Please find additional details on our website . Visit our San Francisco locations .